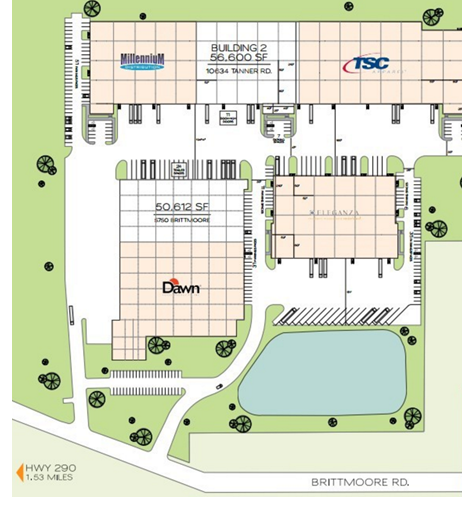 ​​ ​HOUSTON – A lease for 50,400 sf in Apex Distribution Center has been signed. The distribution center, located at 5750 Brittmoore Rd., is on the west side of the Sam Houston Tollway, about a mile south of Hwy. 290. The distribution center includes a 140,000-sf building along with two newly constructed speculative warehouses containing another 270,000 sf.